Newly released police body camera footage and a 911 call to police tells the story of a man who has been charged with animal cruelty in Norman. 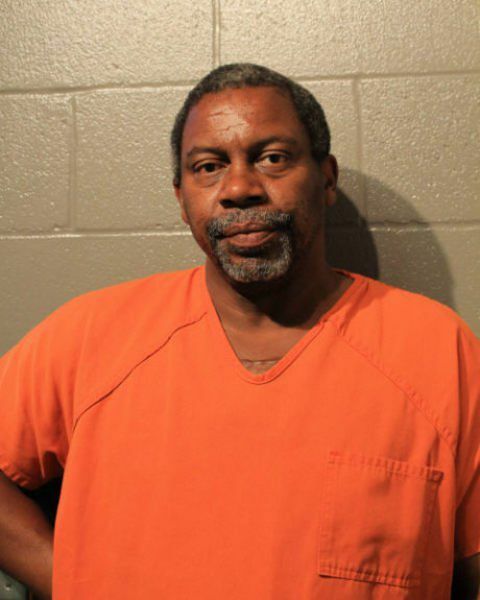 53-year-old Dennis Ross is accused of choking his own dog until it lost consciousness. A good Samaritan stepped in to help the animal. 911 Operator: 222 E. Hayes. I have a male suspect strangling a dog. We are starting patrol as well. The caller, Robert Wilson, said he happened to drive by and saw Ross choking the dog by twisting its collar. Wilson said when he shouted at the man to stop and to let the animal go, Ross told him that it’s his dog and he’ll do what he wants to with his pet. “Something in the range of...I will kill him if I want to. I will beat him if I want to,” Wilson said. Wilson runs Annie’s Ruff House, an animal rescue and boarding facility in Norman. When Wilson saw the alleged attack on June 22, he said he knew he couldn’t drive away. Wilson said he parked his truck, left it running and took off after Ross. “He picked it up. It was a limp body. He was carrying it up by his shoulder. The dog was pretty long and pretty big that he was dragging his feet,” Wilson said. Officers arrived at the scene within a few minutes and their body cameras were already on. The recording captured audio from Ross during his arrest. “They want my dog. That's the reason they called y'all, cause all of them want it,” Ross said. Wilson says at last check, the dog remained under veterinary care, and that there is a line of people who have volunteered to help in its recovery. Investigators did find signs of trauma that indicated the dog had been strangled. Ross was charged with cruelty to animals, a felony, on June 29. “Hopefully he finds a better home. I don't know how he could ever...how that guy could ever get him back,” Wilson said.